Home/Dr. 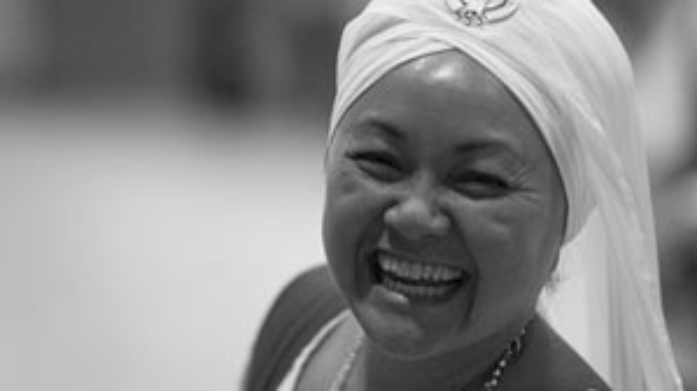 Haridass Kaur Khalsa, Ph.D.
Dr. Haridass Kaur Khalsa, Ph.D.
Dr. Haridass Kaur Khalsa, Ph.D. lives in Los Angeles, California, USA and is a KRI Lead Teacher Trainer. She is on a mission to spread the Teachings far and wide. She emphasizes deep meditative practices combined with energetic yoga allowing students the space to process and witness their own evolutionary process of awakening. She will guide you to a deep process of clearing through a combination of Kundalini Yoga kriyas and meditations to open up the energy meridians. The body is prepared to release long held tension stored deep within the cellular structures. These 30 trillion cells actively releasing unwanted patterns allows more energy in the body to flow and removes toxins changing the overall frequency of the mind-body-spirit system. Welcome to a new state of peace in your existence. Come experience oKundalini Yoga and meditation to achieve a deep level of neutrality and thoughtlessness. A place where the mind is suspended and peace and tranquility are revealed.